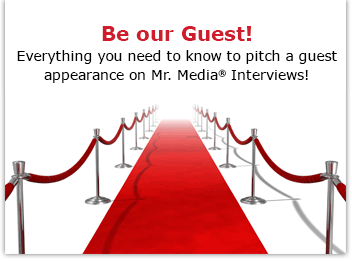 Mr. Media is recorded live before a studio audience of TV stars who haven’t updated their blogs since September 29, 2008… in the new new media capitol of the world… St. Petersburg, Florida! Don’t tell my wife, but I’ve watched those Blue Collar Comedy standup specials on Comedy Central starring Bill Engvall, Jeff Foxworthy, Larry the Cable Guy and Ron White about a hundred times. I usually catch them on the little TV in the kitchen while I eat lunch. It doesn’t matter that I already know the jokes and the punchlines – and you know that Larry is always going to be the punchline when they’re together. These four guys are like a 21st century version of the Three Stooges to my way of thinking. Not in terms of looks or slapping each other around, but because there’s no way a guy can justify to his wife or girlfriend how hard they make you laugh. And like his Blue Collar comedian compadres, Bill Engvall has made a real industry of this Blue Collar business. He sells out comedy tours, has published a book, done movies, and starred in a sitcom under his own name on the Tyler Perry channel – I mean TBS. Now he’s stretching the brand even further in a most unlikely way – guest starring on three episodes of Jada Pinkett Smith’s TNT drama series, “Hawthorne.” Engvall’s second appearance as Det. Jimmy Dupree airs Tuesday, June 28 at 10 p.m.
Order ‘Here’s Your Sign’ by Blue Collar comedian Bill Engvall, available on DVD from Amazon.com by clicking on the box cover above!